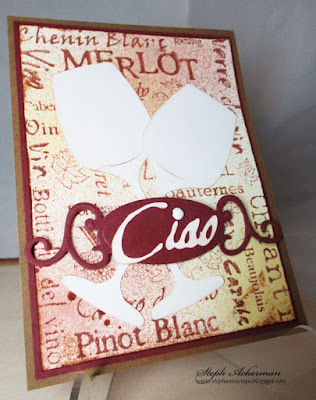 Hi everyone, I'm on the Just For Fun blog today with a party card. 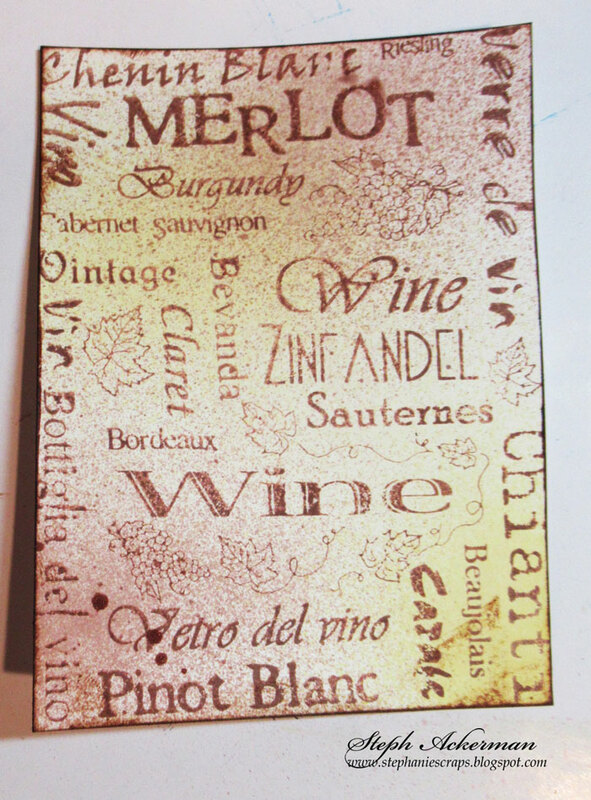 I spritzed white cardstock with assorted colors of Tattered Angels Glimmer Mists. 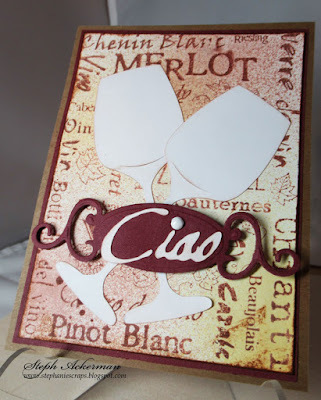 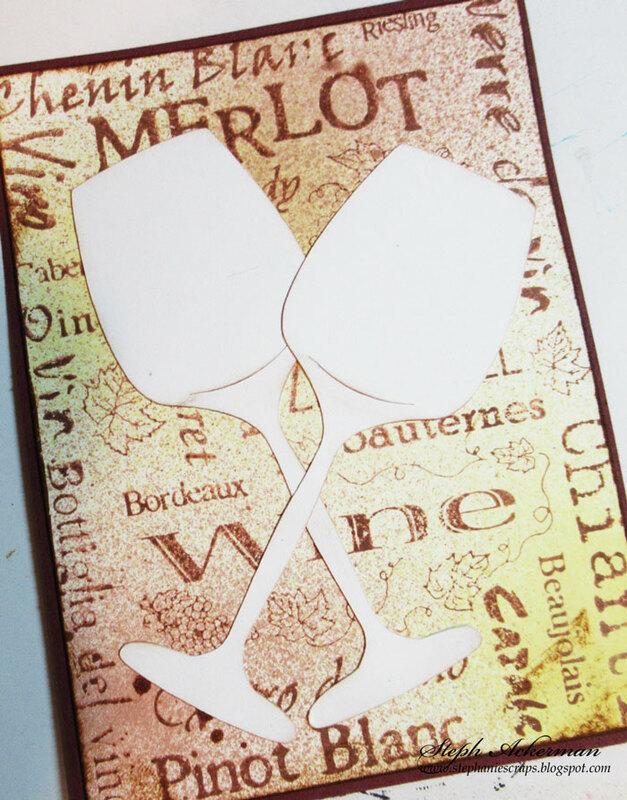 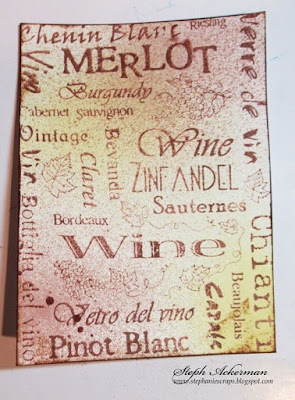 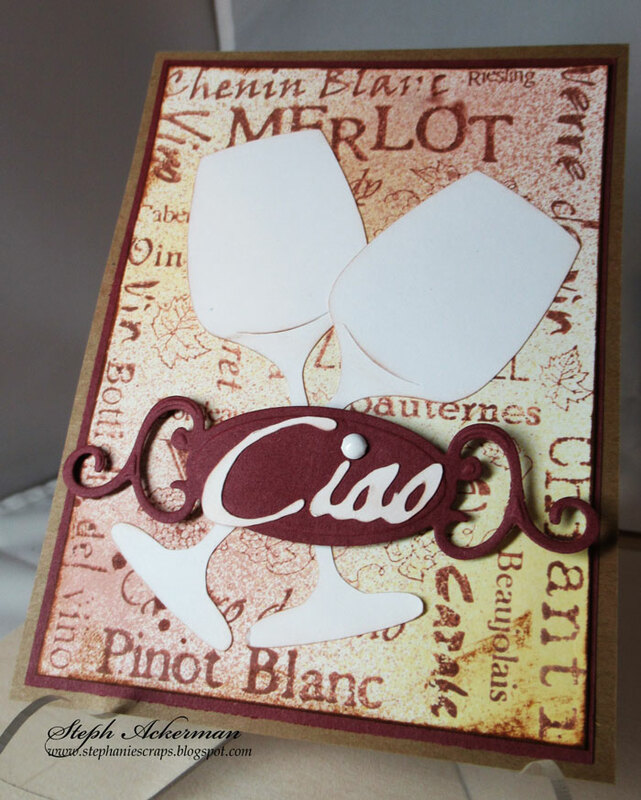 Then I used the Wine Background Stamp on top.